The Emerald Beaut tree we planted last year has just started flowering and it is absolutely lovely! 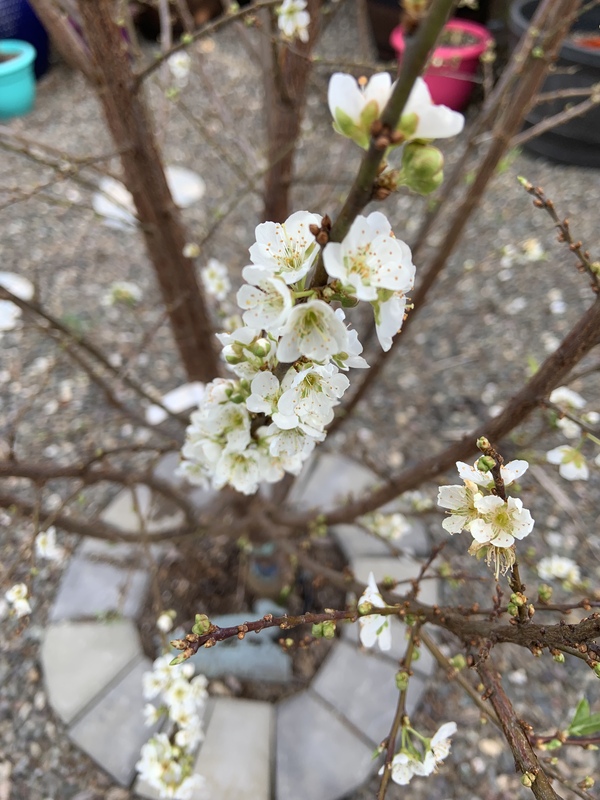 This is our favorite variety of pluot and we are praying we’ll receive fruit this summer. These first blossoms give us hope—and were a bright spot in our day. Today’s #OneGoodThing was discovering the Emerald Beaut tree’s first buds with Mama. What was your #OneGoodThing today? Please share in the comments! Day 77 of 365. And Day 1,173 in a row (here’s the first 366, & the following 365, & the third year of 365 good things)!